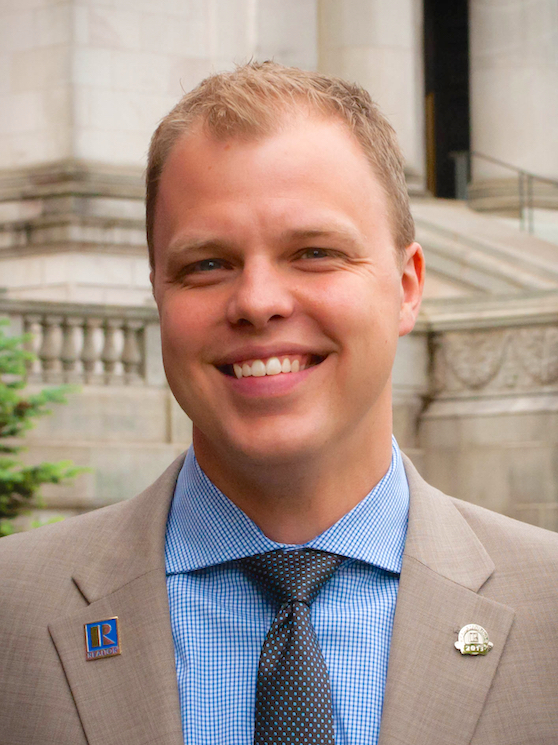 John is president-elect for the Clark County Association of REALTORS® in Vancouver, Wash. This post is the third entry in a series sharing his experiences in that role. Successful leaders view change with an eye toward the potential. When a person takes on situation and emerges from it better than they were before, it shows true success. Change recently came my way when my local association executive called and asked me to stop by the office at the end of the day. Something in her tone told me this was not going to be great news – and I was right. She informed me she had accepted a position at a larger association nearby, a move up in her career that would not require relocation. Of course, I gave her a congratulatory hug, but I knew this meant the transition from our current president to me as the 2016 president would not be the smooth process we had all hoped. It would be interrupted by the formation of a search committee, a rush to complete next year’s budget, the finalizing of the 2016 calendar, and getting as much locked down for the next few months as possible. 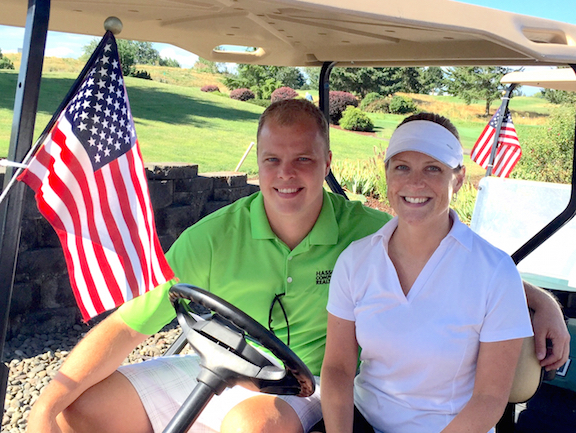 John Blom with the departing Clark County Association of REALTORS® AE, Michele Holen. One of the first things I learned while working through this transition period is that you can gather incredible knowledge by tapping into the experience of past presidents. We have two former association board presidents on the search committee and the perspective they bring to the conversation has been invaluable. In changing circumstances, there is a temptation to view the new reality as something totally foreign. The odds are, however, that it’s not as ground breaking as it might seem to be. Trying to hire a new AE seemed like a tremendous challenge, until we realized this was not the first time the association has had to hire a new AE. When leading in a time of change, talking to individuals who have been through similar circumstances can make the challenge seem more manageable. President Clinton’s comment reveals another important leadership lesson that is particularly important during transition: include people who think or process events differently than you. Despite being members of opposing political parties and approaching problems facing the U.S. from different perspectives, Clinton recognized there was value in Nixon’s counsel. When making appointments or participating in a nomination committee, it’s tempting to stack the leadership team with people you like, who operate in the same manner as you, and probably possess the same strengths and weaknesses you do. But when dealing with a change, you need people who can think differently from you to raise concerns that you might not have considered. My personality leans toward strategic thinking and problem solving activities. I like to come up with solutions, but I’d prefer someone else go ahead and implement those ideas so I can move on to something else. At home, this translates to grand visions for home projects that get 70 percent completed before a new idea sends me in another direction. My wife loves it when I do that. Meanwhile, one of the past presidents on the committee is very much a “doer.” She will take a plan and run with it, and when she does, you don’t want to be the person who gets in her way. This does not mean she can’t come up with a strategic plan, or that I can’t finish a task, but we have different strengths. When discussing an ideal candidate, she raised a good point – due to the size of our association, our AE cannot be someone who is so strategic or abstract that they’re not willing to set up a room for an RPAC event or clean up after a board meeting. That is an aspect of the job I would not have necessarily thought about when interviewing candidates. The final lesson about change I have picked up during the last few weeks is the importance of taking it on with a positive attitude. Change is coming, whether you want it or not. Just this year, our industry has seen the marriage of two former competitors, new TRID guidelines, and evolving market conditions. Outside the industry, but nearly as important, NBC moved The Blacklist from Monday to Thursday night and the Chicago Cubs actually won a playoff series. As a real estate professional, YPN member, and leader (or future leader) of your local/state association, you need to collaborate with those around you to craft a vision for the future, create the plans to make that vision a reality, then work tirelessly until the job is done. That’s where this post should end, but it doesn’t feel complete without expressing my sincere thanks to Michele Holen, our departing AE, for her many years of service. You truly are a rock star in our industry, and I wish you all the best. You’re still dead to me, though.